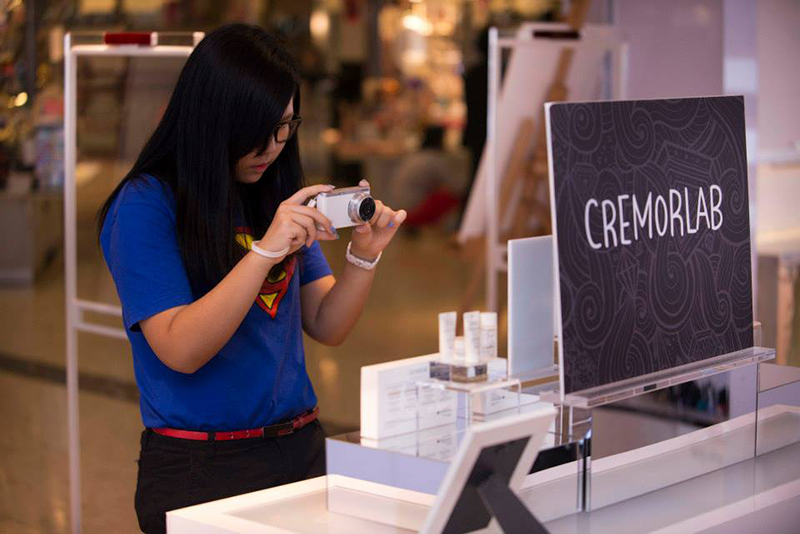 No matter what skin types you are, skin needs so so much hydration due to Malaysia's hot and humid weather because the sun really fast dries up the moisture of our skin when at outside. 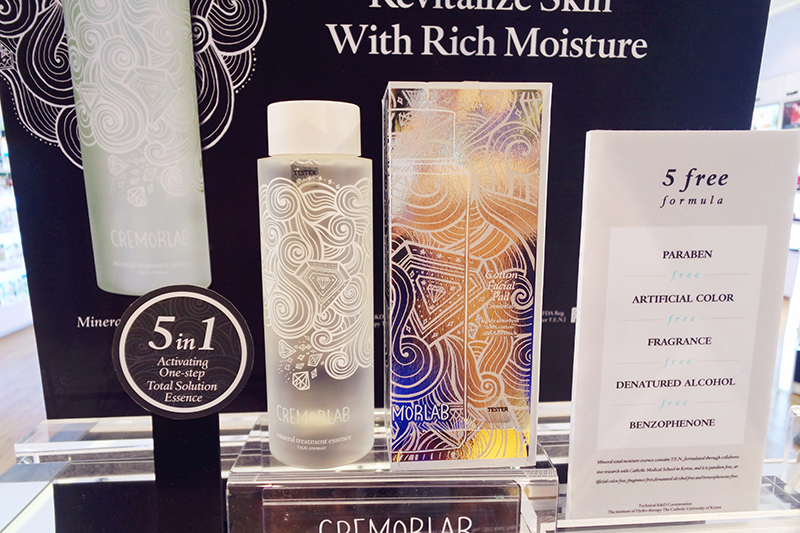 A little introduction to Cremorlab, the name Cremorlab represents a golden ratio between nature and science. It contains the potent star ingredient T.E.N water to give exceptional hydrating powers for the clear and translucent skin. T.E.N standing for "Thermal water therapy, Eco energy and Natural nourishment" comes from the thermal waters of Geumjin, a region in Korea's Gangwon Province. Famous for its richness in minerals, T.E.N comes from pristine water sourced 1,100 meters underground, and has given birth to a skincare line with exceptional hydrating powers. 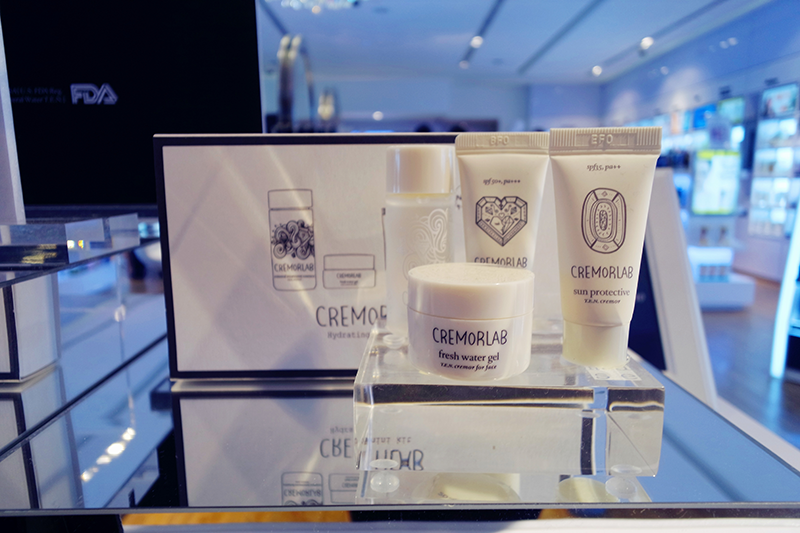 Cremorlab is nature's gift of science. Rich in minerals, including a high concentration of vanadium and germanium, T.E.N gives clear, translucent skin and enhances firmness by eliminating reactive oxygen species. 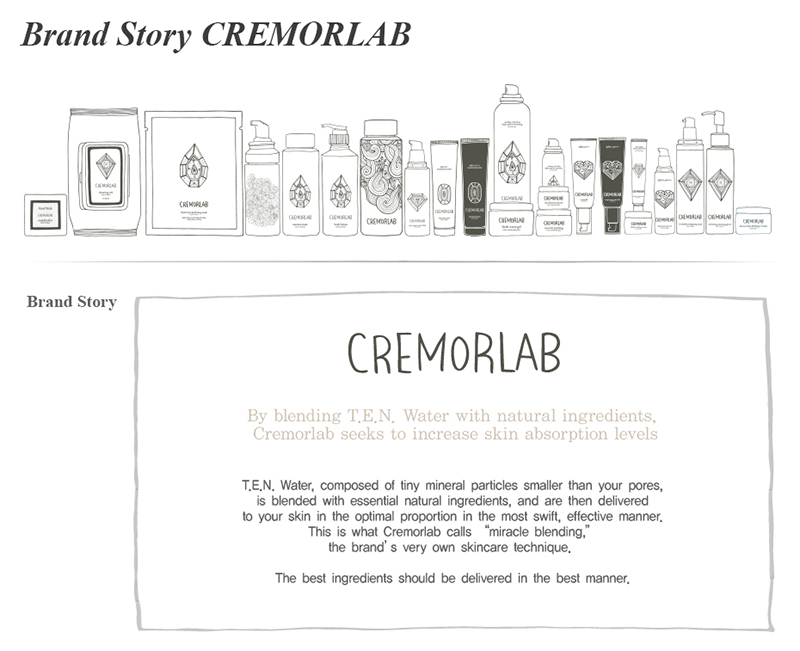 T.E.N Cermor Mineral Treatment Essence is Cremorlab proud star bestseller product. Many beauty bloggers have been high raving about it including myself as well. 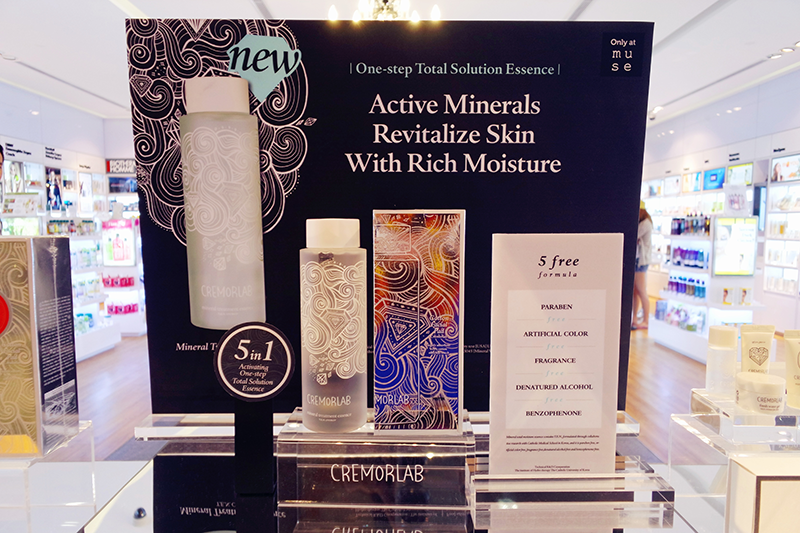 The Mineral Treatment Essence is formulated with Cremorlab's T.E.N thermal water to provide a total solution for hydrating, brightening, smoothing pores and fine lines, and improving the skin's resilience and texture. This paraben-free, artificial colour-free, fragrance-free, and denatured alcohol-free formula leaves your skin healthy, radiant, and revitalised. Great for all skin types. Not forgot to mention, the packaging was just simple and pretty. I love abstract illustration. Major love this essence. 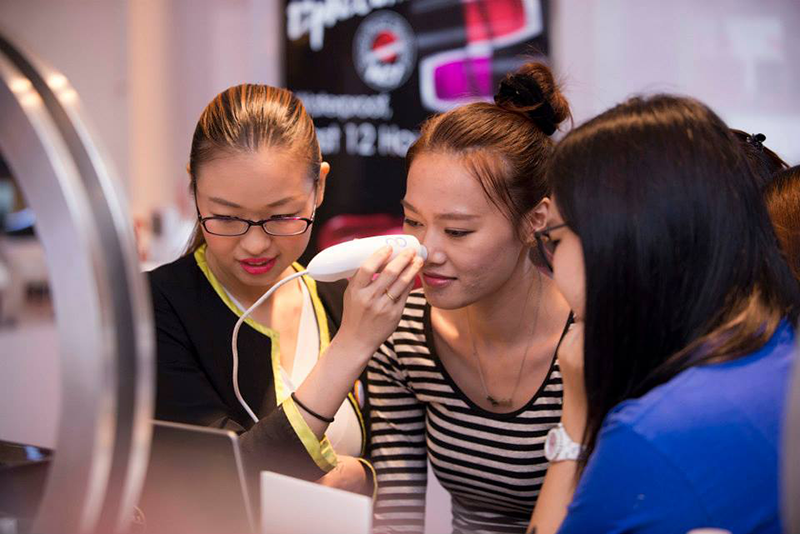 Skin analysis session at Muse by Watsons, Sunway Pyramid. 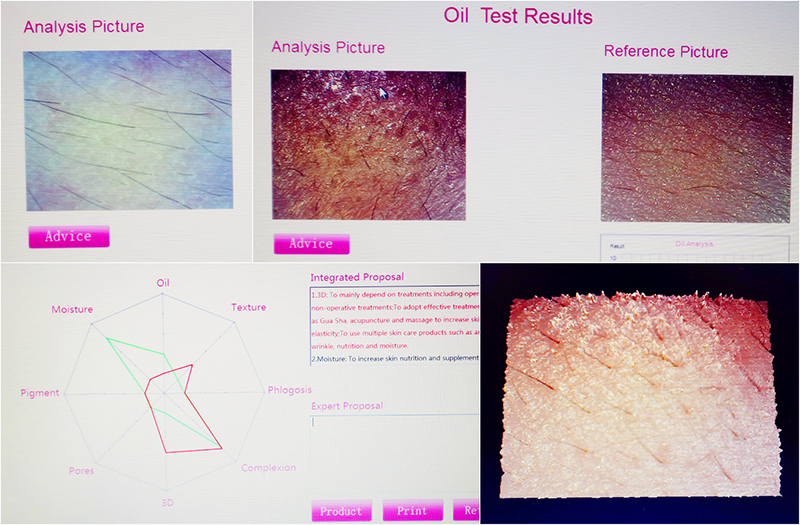 Here's my summary of my skin texture. My skin really lack of moisture and 3D surface is bad. Other than that, my skin consider good. Guess I have to drink more water and try to sleep earlier so my skin won't always dehydrated while also should exfoliating frequently. Guess what! After told by beauty consultant, I try to exfoliating my skin at least one week one time for a better texture because I never scrub my skin before. My bad! 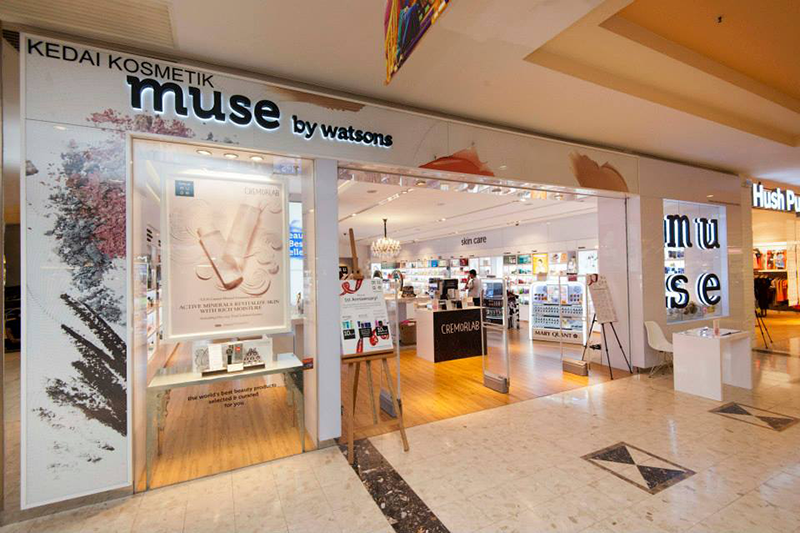 For more information, please feel free to browse through Muse by Watsons' FB page!